Every kid I know loves decorating the house with snow flakes in winter. 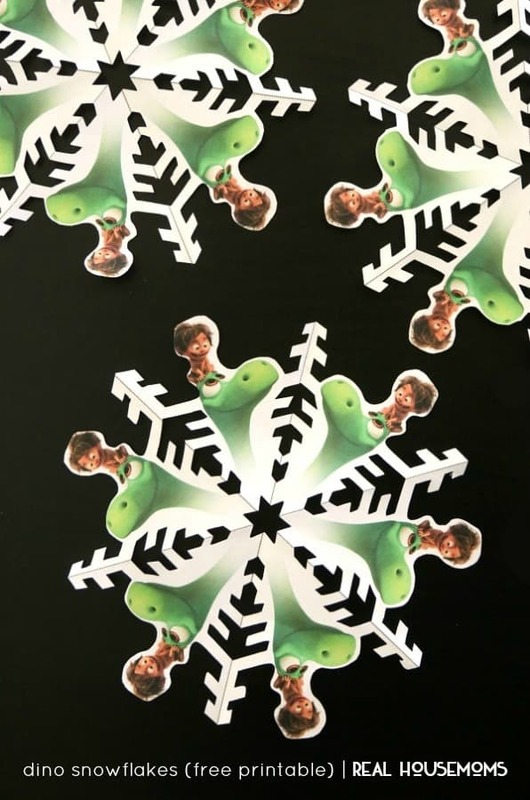 Now you can bring ther love of dinosuars and winter together with DINO SNOWFLAKES! 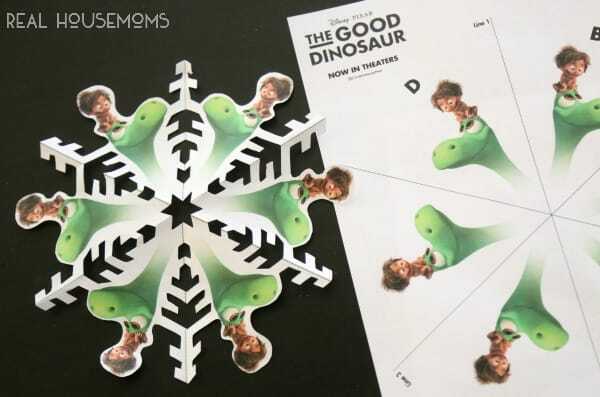 If your kids are fans of Disney-Pixar’s The Good Dinosaur or just love dinosaurs in general, then they will LOVE these adorable Dino snowflakes! 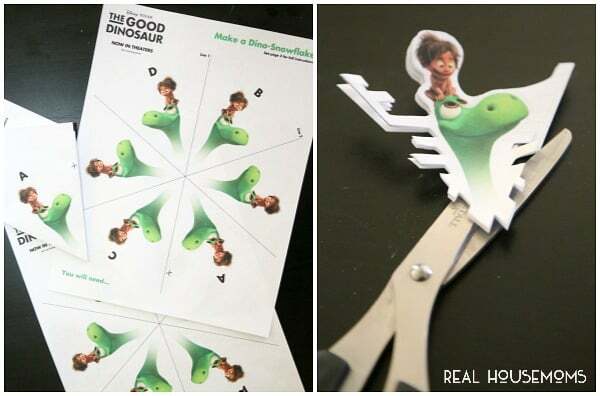 My boys absolutely LOVED the movie and so they love any activities having to do with Arlo, their new favorite dinosaur. And, I love that this little activity combines the cute characters and a wintery craft idea! This would be a fun little activity to do when you’re stuck inside due to cold whether or for a snow day! Kids always seem to LOVE cutting snowflakes and these turn out SO cool! 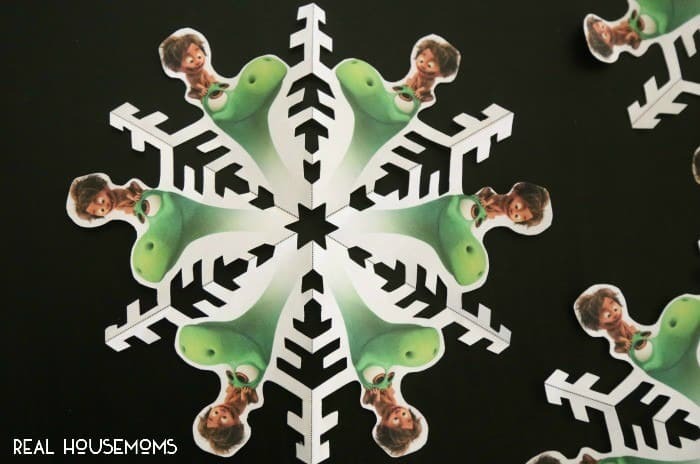 Download the free dino snowflake printable here!